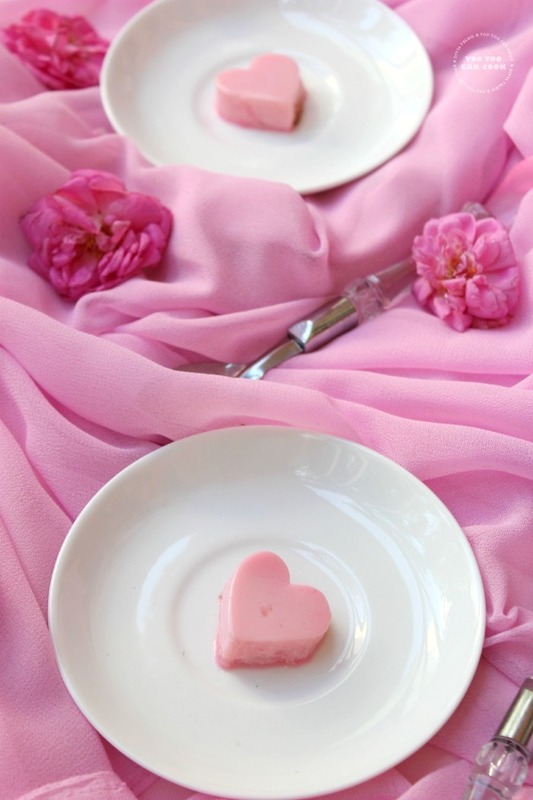 Gulkand is a sweet Rose Petal Preserve that can also be called rose jam, it is such a tasty and flavorful sweet treat that can be had as such or can be used to make delicious sweets and desserts. Not only its a sweet treat nor a flavorful ingredient but is also curative in nature, it is one of the best tasting ayurvedhic medicine. You will be definitely amazed if you know its health benefits. Let me list some; Gulkand is a good for central nervous system and also gives a cooling effect to the nerves, it is good for liver, heart and intestines. It helps get rid of acidity and reduces constipation, it also combats fatigue, lethargy and muscular aches. Did you know gulkand is so good for women also? Yes!! Gulkand is highly useful in treating menstrual problems like heavy menstruation and white discharge in women. It has been also said that aroma of gulkand helps secretion of Oxytocin, the love hormone so these are best treats for any special occasions like your wedding anniversary and other lovely and special days. It is said to even enhance the motherhood feeling and emotions. There are many more benefits and I can still keep listing it but the post will become too long. I purchase gulkand every month and store them in my pantry and have a spoon of it every day, but never knew that it was so beneficent. You can get these in any Indian stores, get them nest time you visit the stores and lick off one spoon of gulkand everyday to stay healthy. So, today am gonna discuss with you a special payasam or kheer that I made for a special occasion at home. Here I have flavored Vermicelli kheer with gulkand and so the payasam tastes absolutely delicious and the flavors are awesome. Creamy milk, condensed milk, gulkand and vermicelli blends well and gives a rich tasting yummilicious kheer. I bet that you will definitely want more. 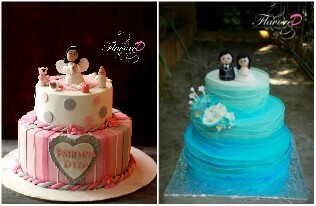 Try this on any special occasion and make your day delightful and special. For the normal vermicelli kheer | Semiya payasam click here!! Grind 10 almonds and 10 cashews coarsely and set aside. Then in a sauce pan add all the milk and 1 cup of water and place on flame. Meanwhile place a pan or wok on flame and add 2 spoons of ghee, after it heats up add vermicelli (break vermicelli into smaller bits to get it sauteed evenly) and saute well on low flame until it turns slightly brownish. Remove from flame and add the roasted vermicelli into the boiling milk. Drop in 2 spoons of ghee and cook on low flame until the payasam thickens. Then add condensed milk and stir well. Now drop in 3 spoons of gulkand and stir well. Then take a pan and add a spoon of ghee and saute cashews first on low flame. when it turns slightly golden add the raisins and wait until it puffs up, now remove from flame and pour into the payasam and stir well. TIP 1: I haven't flavored my payasam with cardamom pods as I did not want the flavor of gulkand to be dominated with it. But you can add if you wish. 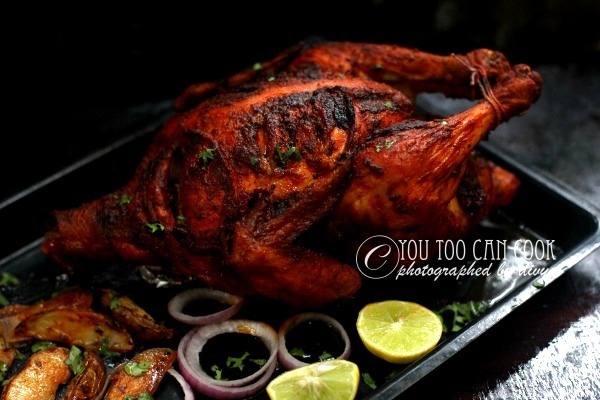 TIP 2: Roasted vermicelli is available in the stores you can use it without roasting. TIP 3: Never add too much of sugar as we are adding condensed milk and gulkand which already has sugar content in them if you add too much sugar in the beginning itself the kheer will become too sweet. TIP 4: Vermicelli and nut powder will thicken the payasam after sometime, in such case dilute with some more milk and place on flame and cook for 2 minutes then serve. TIP 5: See that the cashews are golden brown do not saute them on high flame. Do not heat ghee too much before adding the cashews it will burn the cashews as soon as you add them into ghee. If you have heated the ghee smoky hot then remove from flame and set aside until it cools. then place on low flame and saute the cashews until golden. Even this taste matters while making your payasam. 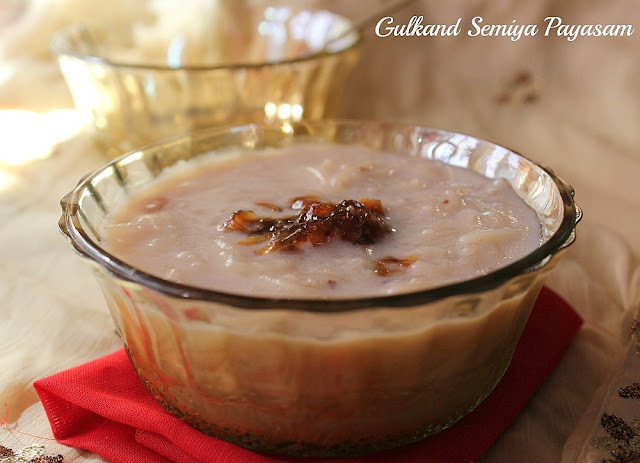 Lip-smacking, super delicious Gulkand Semiya Payasam is now ready!! 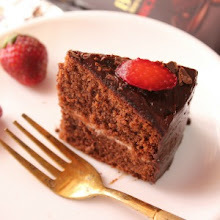 Make this on any special occasion and enlighten your day!! 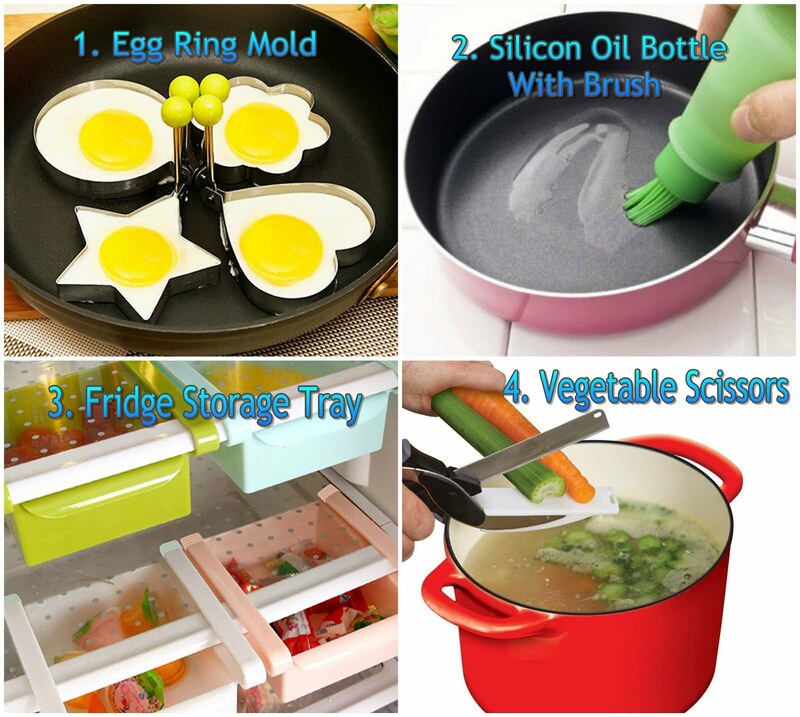 Serve hot or chilled!! 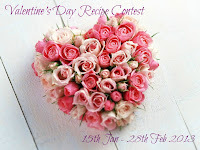 Sending this recipe to Priya Suresh akka's event! New to me looks very delicious. Divy dear, it looks fantastic and fabulous. Payasam with gulkand, just awesome! Nice combination looks tempting.......wonderful clicks. wow.. that's a great way to use gulkand! Love gulkand.. Never thought about using it in payasam.. So yummy!! Simply awesome and lovely semiya. excellent preparation. Payasam looks rich and delicious...loved the flavor of gulkand. Familiar.. yet the presentation is with a classic touch,love the taste. 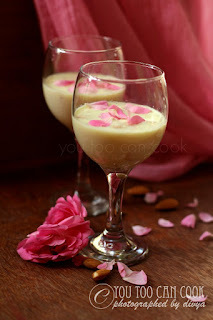 innovative but very yummy payasam with rose petals,what an idea! !.Love your photography too. yummy payasam with all the goodness of health. good work Divya! This is such a healthy twist dear,yummy flavor rich payasam! !